You must make reservations at least 5 minutes in advance of the time at Jane G's. Open all year round, we hope to provide you with an elevated Chinese restaurant experience. Please take in our curated wine list, craft cocktails and ask about our craft beer selection! 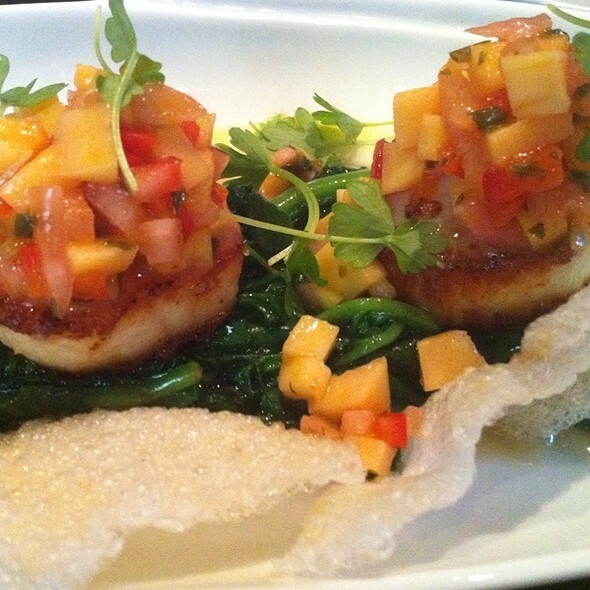 We offer a fully customizable main dining floor with affordable fine dining experiences. From traditional Chinese banquets to full-scale cocktail reception, butlered hors d'oeuvres, and formal seated dinners. Please feel free to contact us directly for further details. We look forward to hosting your event. 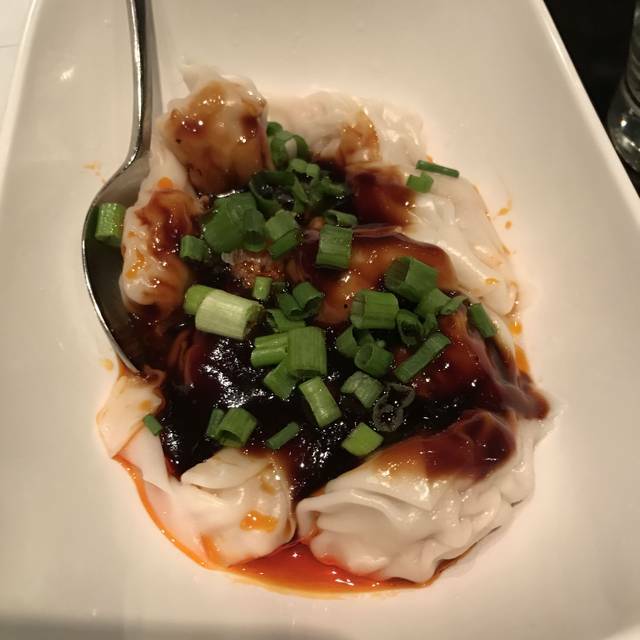 Authentic Chinese Sichuan Cuisine in Rittenhouse Square, Full Liquor Bar, Happy Hour Beer, Wine, Cocktail, Hot Pot (Shabu-shabu). Affordable with fine dining service. Great for dates, birthday parties, casual meals, drinks at the bar with TV. Outside seating available. 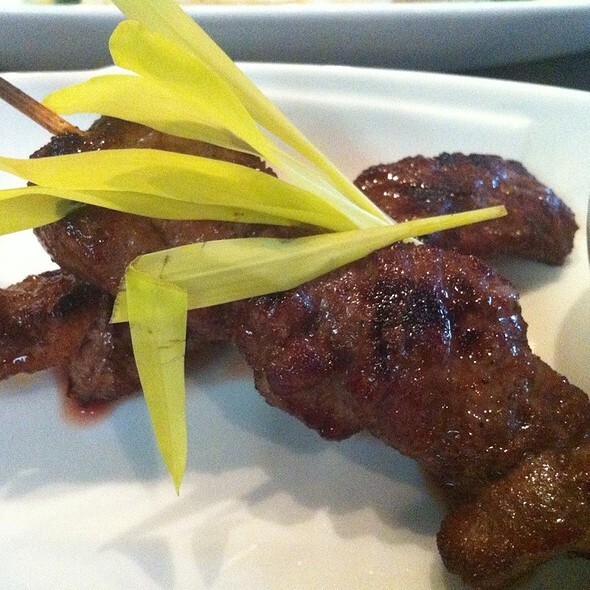 We can accommodate up to 125 guests for private parties, banquet dinners, hors d'ouevres service. Happy Hour runs Monday through Sunday from 5-7PM. We offer FREE delivery up to 10 blocks as well as large party catering and special banquet events catering. Spring rolls were great. Chicken fried rice was excellent. Terrific service. Extremely disappointing food - Kung Pao chicken had a lot of added sweetener (sugar), lacked the flavor and spice of authentic Kung Pao chicken. The string beans had good flavor but many were wilted and whithered. The brown rice tasted like it wasn’t sufficiently steamed. The food came out nearly instantaneously after we placed our order, so none of it, obviously would have been cooked to order. There were very few Asians in the restaurant, which is located in Rittenhouse Square district not in Chinatown. 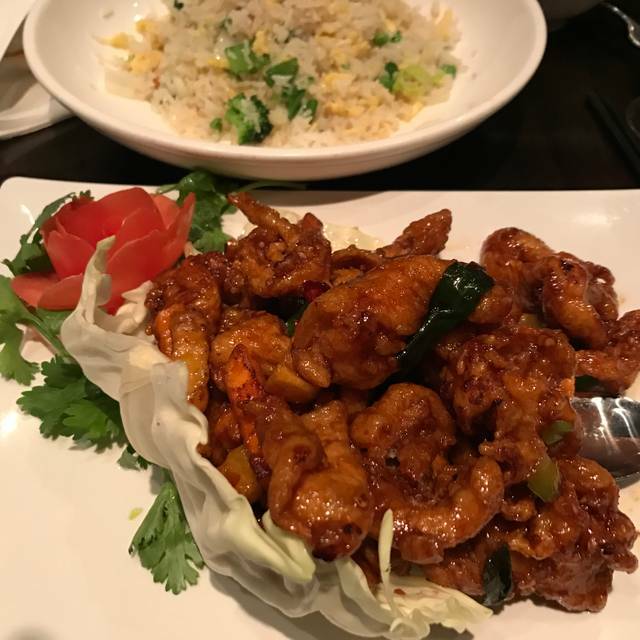 Both of these should have been tip offs that this wasn’t the place to go for more authentic and fresh Sichuan style Chinese food. 3 stars because of the good food- the chili oil wontons won the night for sure. Soup dumplings weren’t bad. Shrimp lo mein simple but pretty tasty and not overly greasy. 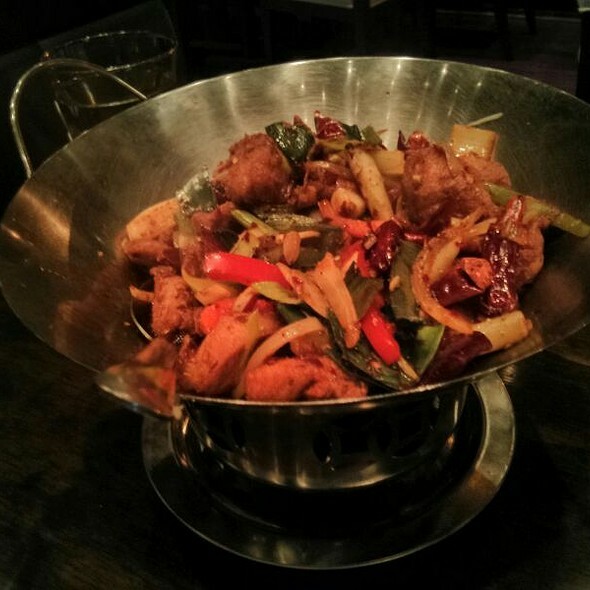 Dry pepper chicken came in very tasty and spicy. Maybe a little too spicy and too much breading on the chicken but still quite good. Service was laughable. We had no designated waiter. The restaurant was only about 2/3 full at most. At any given point 4 different people serviced us, including the hostess taking our original order. The one server was very nice though and gave me a free drink due to delay in delivery of one of the dishes. Veggie spring rolls and chicken fried rice! Outstanding service! The o my time we saw our server was when he came to give us the check. It took 25 minutes before someone came over to us and even then it was the hostess that took our order and a food runner that presented our food. We were never checked on throughout our meal. We shared several apps and larger dishes. Everything was tasty. The filet had way to many bones. Our server was pleasant but did not come around often to check if we needed anything, surprising considering the restaurant was not very full. I dine there and order delivery fairly frequently because they have a lot of veg options. Soup dumplings sticking to paper and coming apart when lifting for spoon .. Well... there goes the soup! Though we did not have the most enjoyable experience this evening, the manager made sure we were taken care of. Having gone to Jane G’s before, I know they could have done so much better. Hostess did not think much of us - too mature, too dressed up, and not hip - so we we’re seated in awkward seats along a wall. I asked about better tables - “these for special customers” - we let it go. Plenty of good choices on a greasy menu. Wine list is okay, including very good Sancerre blanc. Erratic but agreeable service. Not a great choice for.Valentine’s Day after Shun Yen. The food was especially interesting with lots of choices for meats and non-meat eaters. The space is roomy so though crowded it didn’t feel that way. There are so many food styles I’m looking forward to coming back. The Brussels sprouts were out of this world! Outstanding food. I think our waiter didnt speak English well and was not very attentive. But the food was fabulous...careful with you choice of spice level. We were excited to go here as it is my friends favorite spot for Chinese. We arrived, ordered appetizers and mains. The restaurant was about half full. Our apps came and they looked great. My friend asked for a fork and we waited. Waited for ten minutes. We asked again and five minutes later a fork came at which time we asked for more water. The server brought a pitcher and accidentally spilled a large pool of water. We understood. Accidents happen. It was a lot of water. He said he was going to grab a towel to clean it up. He never came back. After 5 minutes we another server to clean it up and he handed us two napkins from another table. We needed 30 napkins to clean up that much water. Our mains come and the water is still there, we have barely eaten the apps, and a different server sees what is going on. Comes by with a towel and cleans it up. Sadly, the food is absolutely delicious but the service is awful. Was impossible to get the attention of the server and we left so disappointed. My friend felt awful that her favorite spot could be such a letdown. Had a great time at the restaurant. The food was great and the folks serving us were fantastic. Strongly recommend. Food is always great. Very noisy !! They could and should invest in some acoustic panels. Men's room was a bit messy and unkept. Wow!! The soup dumplings are terrific. Really memorable. The atmosphere is comfortable and the service was seamless. Wonderful food all around, but those soup dumplings are stellar. Went for restaurant week, menu had good options. Food was awesome. def would recommend! Jane G's was our choice for the 9th night of Restaurant Week, and everything went so well...until it didn't. We were seated on time, and the restaurant was fairly empty- I think because of how cold it was outside. Our server didn't give his name, but he was very friendly and answered all of our questions about the different dishes. I let him know about my food allergies, and he told me which items I could order from the menu. While the food was all very tasty, there was definitely some cross-contamination in the kitchen. When we were wrapping up dinner, the outside of my mouth was tingling, but I thought it was just from the spiciness of the food. By the time we were in the car headed home, my tongue was swelling and I knew I would need Benadryl and maybe my epipen. If I was rating them based on the taste of the food alone, there would me a few more stars up there, but I can't give more than one star after the way the night ended. Clearly, we will not be returning. Outstanding meal and delicious evening! Thank you, Jane! Great food. Service was very good. Good looking venue. Location is good and prices were good. A nice restaurant with very large portions of very good food! As Philadelphians we have been to Jane G's a number of times and always enjoyed it. However, on this recent visit the food, which is usually excellent, was disappointing. Dan Dan Noodles were excellent but the tea smoked duck was dry and bland. The double cooked pork was likewise very ordinary - not what we have come to expect at Jane G's. The lunch egg and corn soup was superb. Great service as always. Probably a nice place on any night that isn’t Christmas. They seemed unprepared for a Christmas rush, which made every element of the place less enjoyable. Amazing food ... crazy busy on Xmas night...How much longer wait than anticipated even with the reservation. However they did make amazing food and we’re very apologetic for the crazy rush. I think they finally stop taking delivery orders to free up the kitchen. The seitan was to die for!!! We went to Jane G’s (our first time) on Christmas night at 6:30 - it was chaos, not surprising since it was one of few places open in the area. The staff were absolutely lovely and the food was amazing - I appreciate how gracefully they handled the very busy night and how delicious the food was! Can’t wait to return. Normal times it is probably fine. We went on Christmas and were were there 3 hours. The food took a very long time to come out. It was very crowded and noisy. Vegetable spring rolls and chicken fried rice were amazing. We went early on a Saturday evening, 5:30, and the decibel level was perfect. We no longer go to restaurants where we are unable to chat. 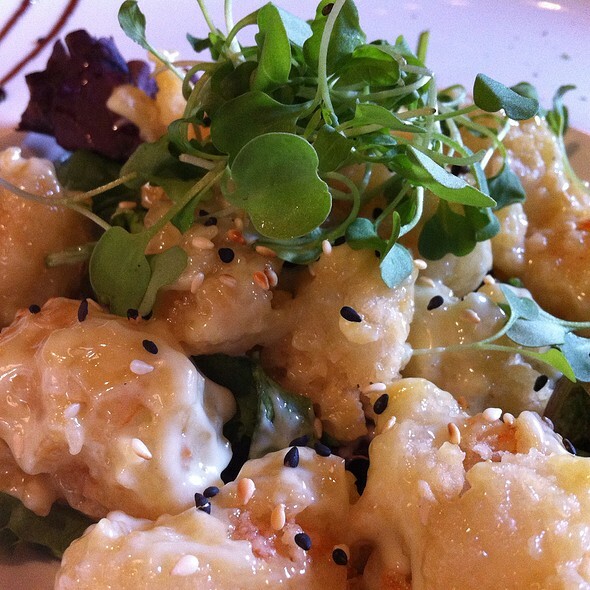 The food was wonderful and the wait staff was attentive and helpful. Delicious food and good service. Jane herself checks the room to personally be aware of anything needing attention. I’ve been a regular customer for many years. We had a reservation through Open Table yet when we got there they claimed to have no record of it. They gave us a difficult time. They then seated us anyway. We placed our order. They brought entree out at same time as soup and appetizers and we asked them to return the entree and bring us a fresh entree when we finished our soup and entrees. They then brought the entrees out and they were cold and we had to wait for them to either reheat them or recook them. They claimed they recooked them but I don't think so. Have been here a number of times, and were very disappointed in their customer service this trip. excellent food; a few very friendy waiterrs, others very sour. Our second visit to Jane G's was as memorable as the first. 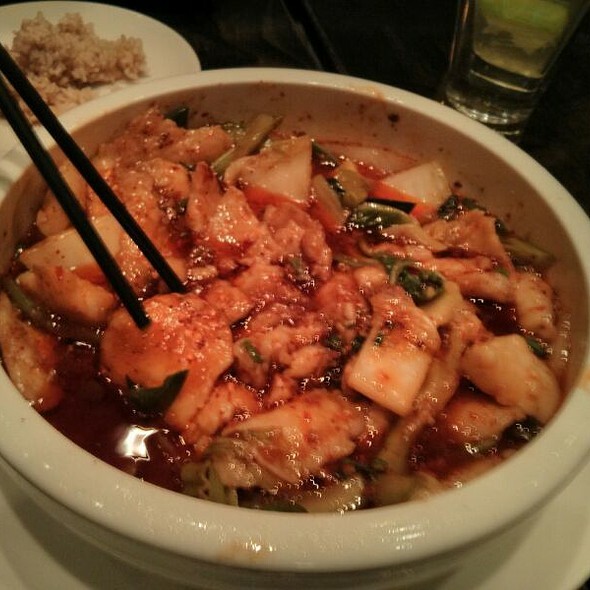 We are big fans of Szechuan cuisine and Jane G's fits the bill. On this visit we had the Spicy Oil Dumplings and a side of Eggplant in Garlic Sauce. Both repeats from our last visit and remain among our favorites. Entrée this time was Shrimp in Black Bean Sauce (very yummy) with a huge serving of House Special Fried Rice. Needless to say, plenty of leftovers. Hint--Eggplant in Garlic sauce makes a great midnight snack. Everything we've had here has been excellent. Cumin Lab last time was truly exceptional. Very solid place. Lil expensive but you don't have to spend bookoo money to have a very good dinner. This place is awesome!!! I had the bone in duck and the presentation was the best! Appetizer choices weren’t too great but my wife and I just ordered a general tso as an app and that was easily the best I have had. The music selection was a little weird, I personally loved the JCole but I can’t picture a middle aged white couple appreciating the language. I've been to Jane G's in Center City several times now and have enjoyed it every time. I find it especially good for lunch. There are moderately priced lunch specials which include a choice of soups and an entree (an ample portion that I never finish). It get's pretty crowded at lunch time. so I recommend making a reservation. appetizers were great - most of the entrees were very good.